For over thirty years, Mike has defended serious personal injury and wrongful death lawsuits involving a wide range of general liability theories. His current practice focuses on two primary areas – transportation litigation and behavioral health care. He leads the firm’s motor carrier section representing large and small trucking companies and trucking insurers throughout the Southeast. Additionally, Mike serves as lead counsel for twelve behavioral health care facilities in Georgia defending a wide variety of malpractice cases and providing legal services in support of their health care law needs. 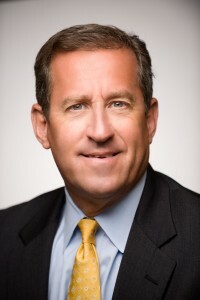 Mike has served as lead trial attorney in over forty-five jury trials in Georgia, California, and Illinois. He has argued appeals in the Georgia Court of Appeals and Georgia Supreme Court, as well as the United States Court of Appeals for the Seventh and Eleventh Circuits. Mike prides himself on using innovative approaches in the courtroom as well as creative solutions for case resolution. Mike grew up on Long Island and attended and graduated from the Stony Brook School in Stony Brook, New York. During his junior year, he lived with his family in India attending the Kodaikanal School in Tamil Nadu. He attended the College of Wooster in Wooster, Ohio where he was a member of the wrestling team and graduated with a Bachelor’s Degree in Political Science. In 1984, Mike headed south to attend law school at Emory University and has lived here ever since. He graduated in 1987 joining Nall & Miller and has been with the firm for over thirty years. Mike and his wife, Jan, live in Roswell and enjoy outdoor activities and travel. Mike is active in his community having served in leadership positions for Right in the Community (formerly ARC Cobb), Eastminster Presbyterian Church, and Fellowship Christian School. He has also coached youth and high school wrestling teams.